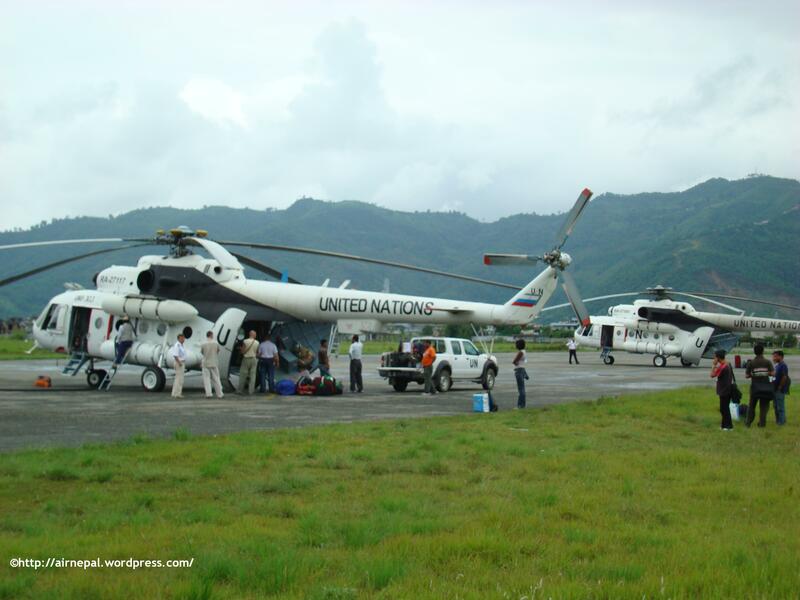 Mil Mi-08 helicopters with United Nations Mission in Nepal , UN 303 ( RA 27117 ) and UN 304 ( RA 27095 ) seen here transfering passengers and cargo at Pokhra Airport, western Nepal. Mi-08s are part of a 4 helicopter fleet that supports UN mission in Nepal. UN 304 (RA 27095) is normally based at Nepalgunj Airport in Midwestern Nepal. Posted by airnepal in Helicopters, NAAS. 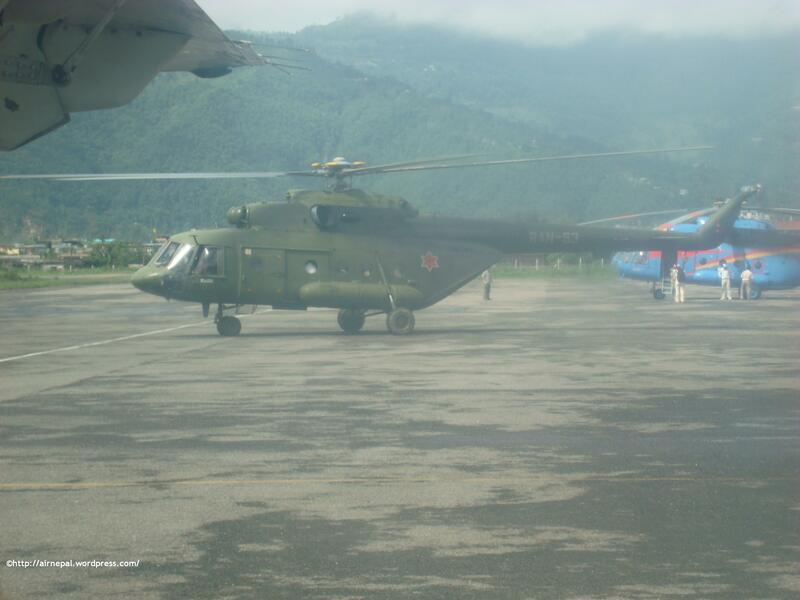 captured a glimpse of this NAAS Mil Mi-17-V5 (RAN-53) taxing the ramp at Pokhra Airport, western Nepal.this is one of the remaining two Mi-17 helicopters of the initial inventory of three helicopters in Nepal Army Air Service. photo was taken through a window of a Donier Do-228 , as i was arriving at Pokhra Airport. 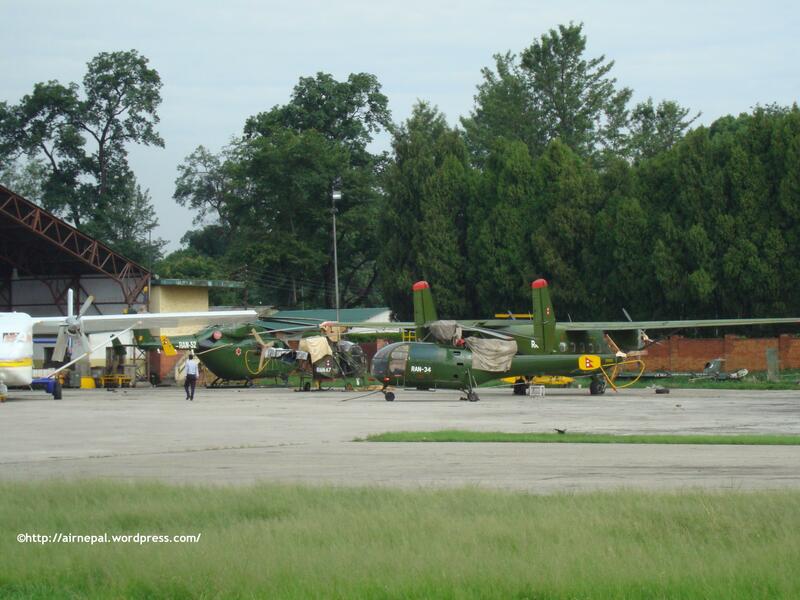 several helicopters of the Nepal Army Air Service 11 Brigade seen here next to the NAAS facility in Tribuwan International Airport in Kathmandu. helicopters in the picture include HAL Dhruv (RAN-52) a Hindustan Aeronautics built version of the Messerschmitt-Bölkow-Blohm BK 117 B2 , a HAL SA316B Cheetah light helicopter (RAN-47) variant of Aérospatiale Alouette II/SA 315B Lama and a HAL Lancers light helicopter (RAN-34) a variant of Aérospatiale Alouette III. Posted by airnepal in UN. single de Havilland Canada DHC-7 Dash7 (C-GVWD) operated by UN (UN 311) in Nepal is seen here in its parking ramp in Tribhuwan International Airport in Kathmandu. this particular aircraft is owned by Trans Capital Air of Canada and is based in Toronto Ontario, Canada and has the contract to provide fixed wing air services to United Nations with several other aircraft of the same type operating in other parts of the world for the UN.